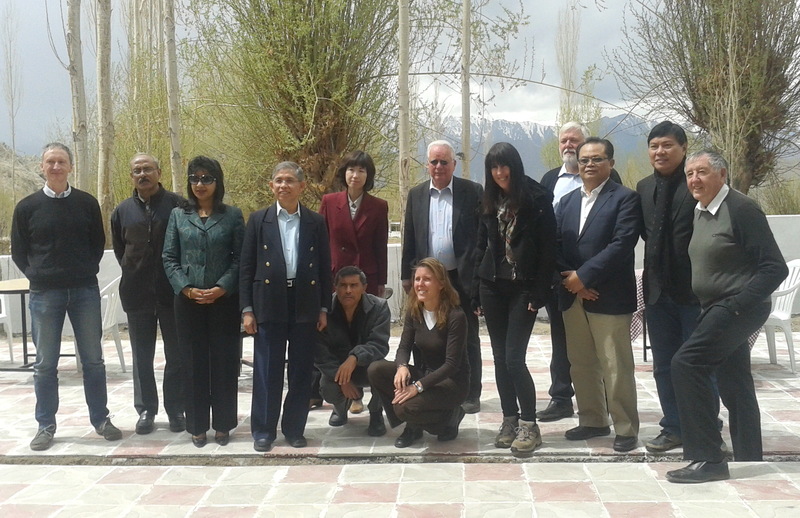 International Geothermal Association held its 56th Board of Director’s meet on 29 April and 1st May 2013 at Leh, Ladakh. 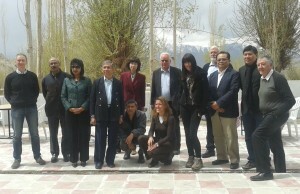 14 BoD attended the meeting. 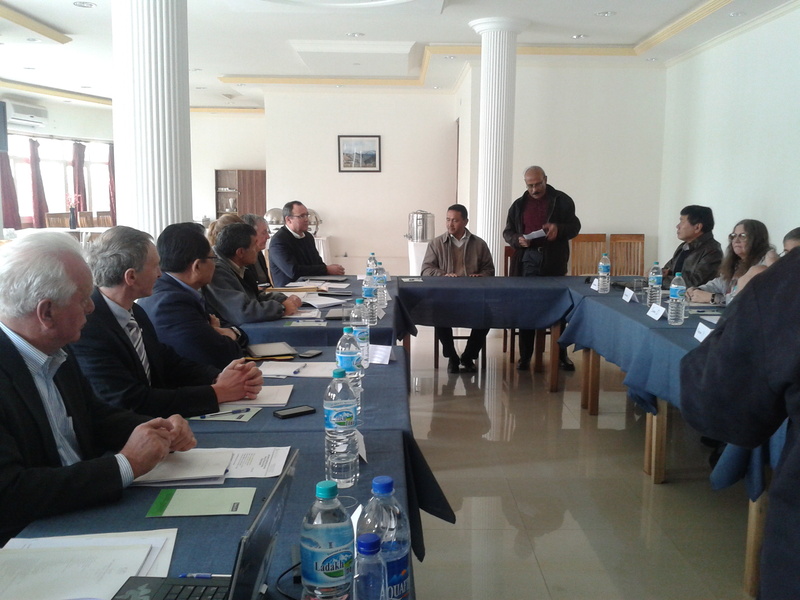 Mr. Rigzin Jora, Minister for Rural Development inaugurated the meet. 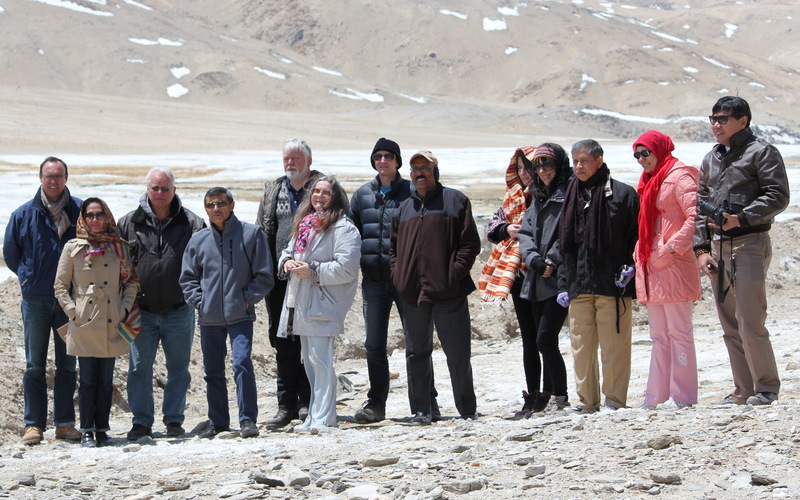 While welcoming the Board of Directors and members in Leh, Mr. Jora said that geothermal power generation is absolutely a new concept for the people of this region. 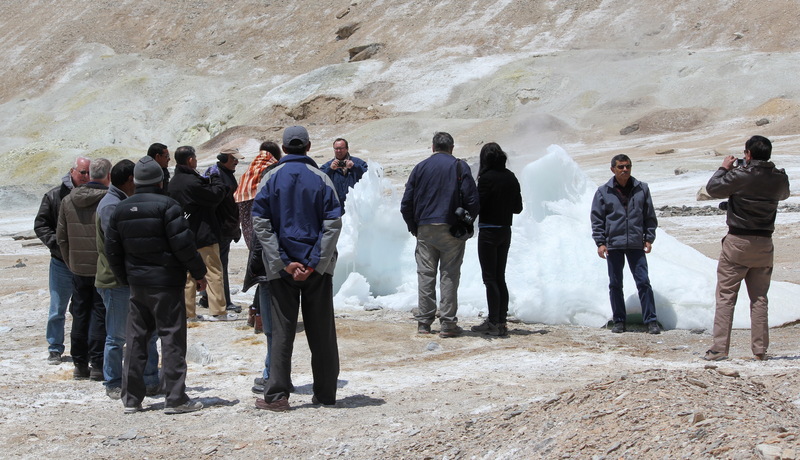 The minister informed about the past attempts made at Puga to generate geothermal power and the potential of geothermal energy in Panamik of Nubra region. He said that M/s GeoSyndicate prepared a detailed project report to generate power from Puga geothermal site with his suggestion to incorporate the transmission line cost within the project cost. Prof. D Chandrasekharam apprised the minister about IGA and its functions. Established in 1998 IGA is Scientific, Educational, Cultural and Industrial organization having a special consultative status for United Nations. IGA gas more than 6000 members from 65 countries across the world with its main objective being promotion of Geothermal Energy for power generation and direct application. IGA has 33 elected board of directors and the BoD meet twice in a year in any of the member countries. 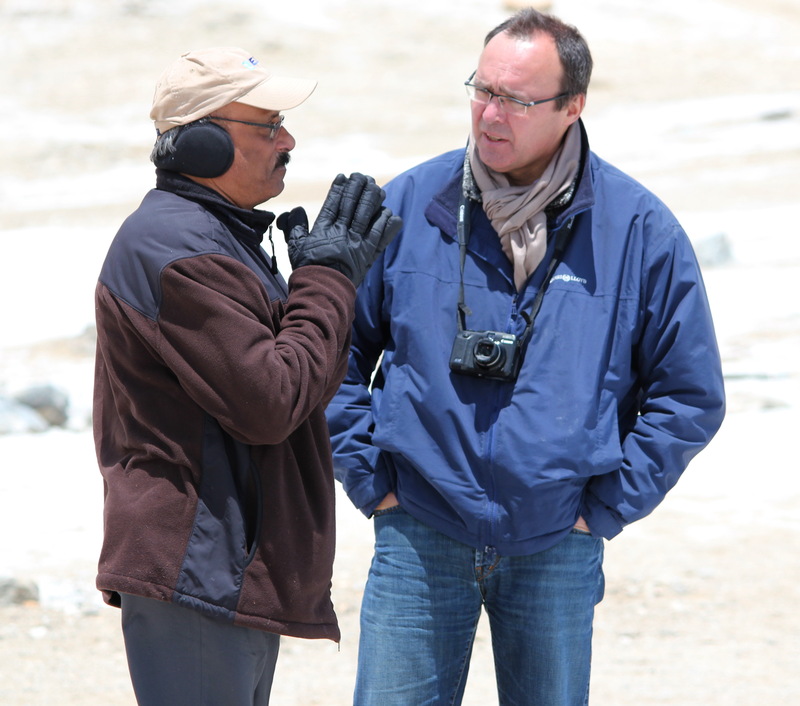 Prof. D Chandrasekharam, Chair Professor at IIT Bombay and Chairman, GeoSyndicate Power Pvt. Ltd., is the first Indian to be elected to the IGA Board in 2010. 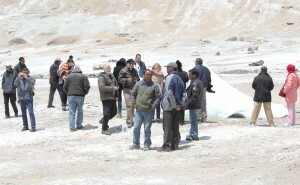 As a part of the meeting, all the members visited Puga and Chummatang geothermal sites. M/S GeoSyndicate is the first and only geothermal company in India incubated from IIT Bombay ( see www.geosyndicate.com). GeoSyndicate has signed a PPA from Andhra Pradesh Govt. 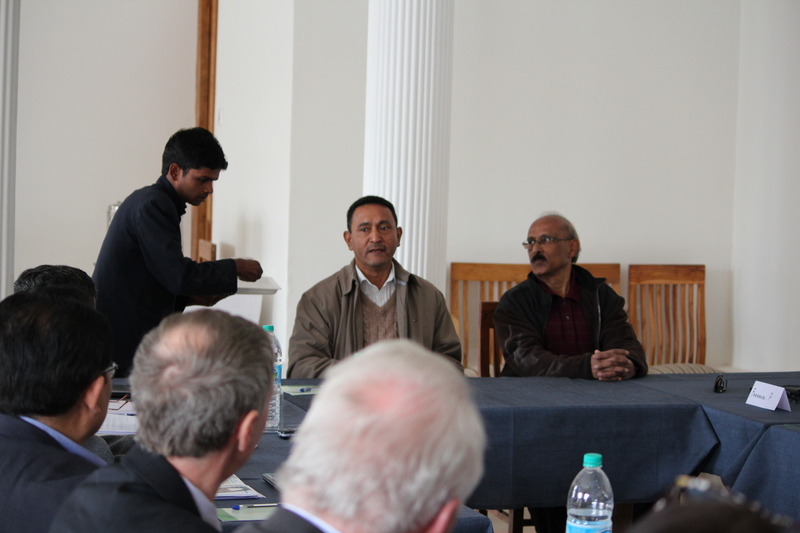 to develop 25 MWe from the Godavari rift geothermal province. The company is awaiting power tariff agreement from the Govt. GeoSyndicate has also signed an MoU with the Govt. of Gujarat to develop geothermal power in Gujarat.